The majority of employees are still actively disengaged, trust strangers more than their own boss and site ‘lack of appreciation’ as the main reason for quitting (10 Shocking Workplace Stats you Need to Know, Forbes). We clearly need a solution that steers us in the right direction. Research (by Gallup, Stephen Covey, Watson and Wyatt and others) have shown that wherever people use their strengths effectively, there is an increase in trust, engagement, teamwork, quality of life, productivity and performance. Why Strengths Strategies and People Acuity? 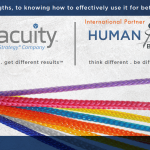 When the opportunity was presented to Human Capital Business Solutions to become a partner of People Acuity (the leading strengths application company) and bring their solutions to the region, I wanted to experience the impact for myself first. And so my journey of professional and personal discovery started. I quickly understood that strengths strategies meant going beyond just knowing what your strengths are, to knowing how to effectively use it. It took me a while longer to internalize what People Acuity meant – the ability to clearly see and effectively optimise the value, capabilities and positive potential impact of yourself and others. People Acuity helps us to see ourselves and others differently. It shows us where to look. A great place to start is by focusing on knowing how to effectively use strengths. And whilst we are going through this process of self-discovery, we learn to see, value and bring out the best in others too. It is based on positive psychology. Our strengths emerge as weaknesses when it is mis-applied (either in over-drive or under-utilised) or when it is in our blind spot (“basement” strengths in Gallup’s terminology). We place too much emphasis on fixing weaknesses, whereas we should rather enable people to understand what their strengths are and how to leverage it to overcome their ‘weaknesses’ or challenging relationships. It also emphasises our uniqueness and the value of working and being together with people who are very different from us. It aligns with a number of my own beliefs: “change starts with me” and “if you can’t change your situation, change your reaction to it” and “our reaction towards others or a situation, says more about us than it says about the others we find an issue with”. According to DeAnna Murphy (CEO and thought leader of People Acuity and Strengths Strategy, Author and Top 100 Global Coach) engagement is a personal choice – the penny will drop once people understand why and how they can shift their own engagement, energy and results. The starting point is to improve your own people acuity (also if you go through the coach certification), which means you also need to understand your impact on others and vice versa. It resonates with everyone – from teenagers to people in their later career phase. And, the applications are limitless – it could impact business-to-business collaboration, leadership, workplaces, HR, boards of directors, the youth, parents and families, entrepreneurs wanting to grow their business, sports teams and even political parties who need to work together to better serve the people. The new understanding would impact all areas of your life and relationships. It brings valuable understanding of how our strengths are continuously at play, and practical application of how to effectively use strengths every day for better relationships and results. We have known for some time that things need to change (the ‘why’), but we needed to know the ‘what’ and more importantly the ‘how’. Valuable for leaders who want to build trust and create positive workplace cultures. In the spirit of true interdependence where everyone can work towards strengths-focused workplace cultures and families, a number of products and solutions are available for companies and for individuals to steer their own personal development. E.g. modular in-company and public certification training of coaches, leaders and facilitators; workshops; personal Accelerator Reports and Self-Coaching Guide; and self-directed online learning and resources. 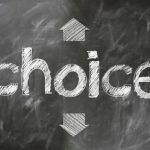 My personal favorite is also the biggest mind-shift for others: understanding how to apply your understanding of effective strengths use to shift yourself and others out of the toxic triangle of dependence, co-dependence and independence and up towards Interdependence and Strategic Interdependence. My journey of self-discovery has impacted me as a consultant, coach, entrepreneur, spouse, friend and also as a mother of teenage boys – more than any other program I have been on before (and I have been on quite a few). And it is great that I can continue to grow and accelerate the power of my strengths whenever I notice that I am triggered or feel frustrated – with myself or others. Liezel Pheiffer Blignaut is the Founding Director and CEO of Human Capital Business Solutions (Pty) Ltd and a Certified People Acuity Strengths Strategy Specialist and Certified Strengths Strategies for Optimal Performance (SSOP) Facilitator. People Acuity, Strengths Strategy and Strategic Interdependence are trademarks or registered trademarks of People Acuity LLC, a Strengths Strategy Inc company. If you don’t want to miss out on upcoming public events or certification training, follow us on social media, or subscribe to our newsletter. 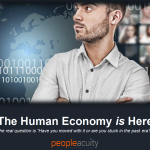 If you would like to purchase any of the online programs, reports or assessments on peopleacuity.com, use the following code to obtain a discount: HCBSdiscount.